GOOD NEWS! 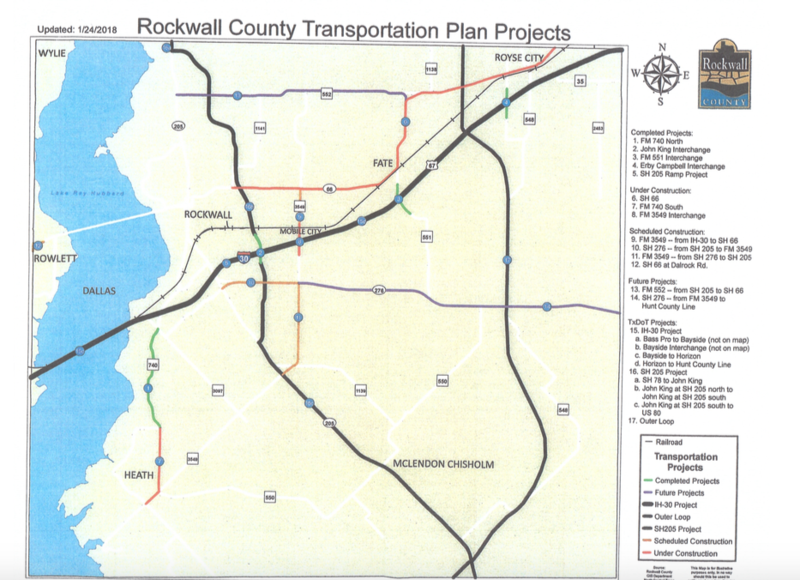 Council Member Jim Herren shared that at the last Road Consortium meeting some highlights which included a schedule and timeline overview of the proposed projects conducted in Rockwall County. One of the things that we are asking citizens is to contact Council Member Jim Herren to let him know that you are interested in seeing a “LEFT TURN” lane added. 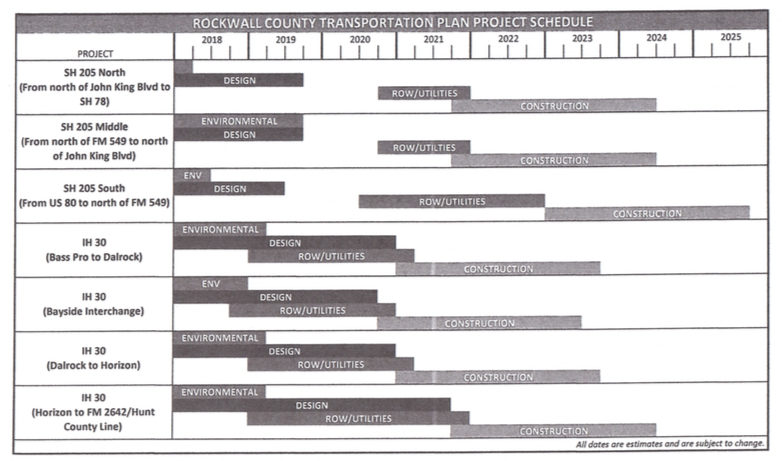 Or if you have any questions related to road construction to contact him so that he can address it at the next meeting which is scheduled for February 28, 2018. Every City Council Meeting we try to share updates and this is just one of the things that is tasked by Council Member Herren to oversee. On the expansion of 205 South in McLendon-Chisholm, right turn lanes will be similar to how it is constructed on John King. I inquired about it and Council Member Herren confirmed that road would be a good example of what our future 6 lane road will be like on 205.